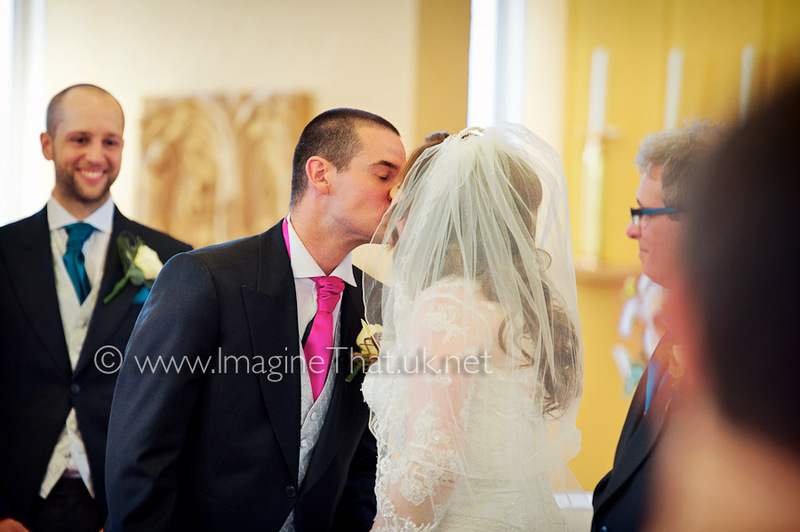 Annelise & Brett's wedding was a beautiful occasion with a very intimate wedding ceremony at St. Helen's church, followed by a very relaxed and family focused wedding reception at Craig-Y-Nos Castle in Brecon. This was our first time at Craig-Y-Nos Castle and it is a magnificent location for creating some truly unforgettable wedding photography. The day began with Brett and a large group of guys at the Travel Lodge in Caerphilly which initially Brett worried may not have been the right location for his groom's wedding preparation. 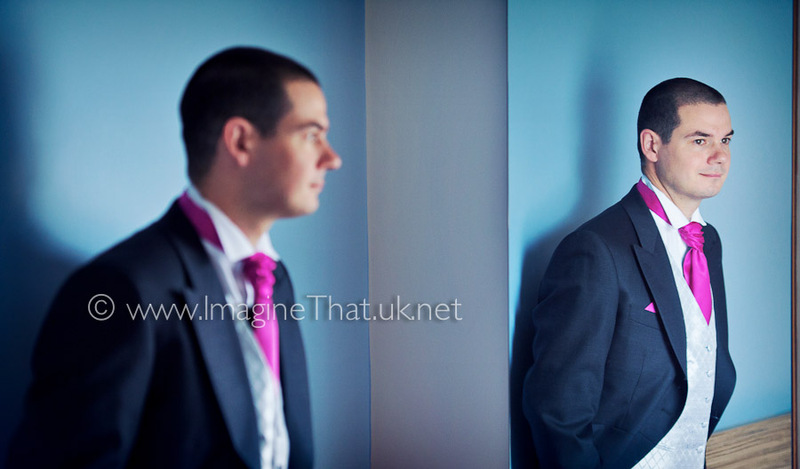 As it so happens, it was great, not only was there great lighting in his room but the variety of backdrops in walking distance made for a lovely mixture for the groom's portraits and guys photos. Annelise's bridal preparations were at her family home on Caerphilly, which was a very relaxed morning and she looked amazing. Her wedding dress and veil had gorgeous tiny lace detail and beautiful stitching. Annelise looked stunning and her dress created an air of authentic vintage Victorian elegance. Throughout the day the sun shone brilliantly with fabulous blue skies and whilst we did a sequence of wedding photographs before the wedding breakfast we decided to wait until after the meal and speeches when the sun was softer to do the main couple wedding photography. 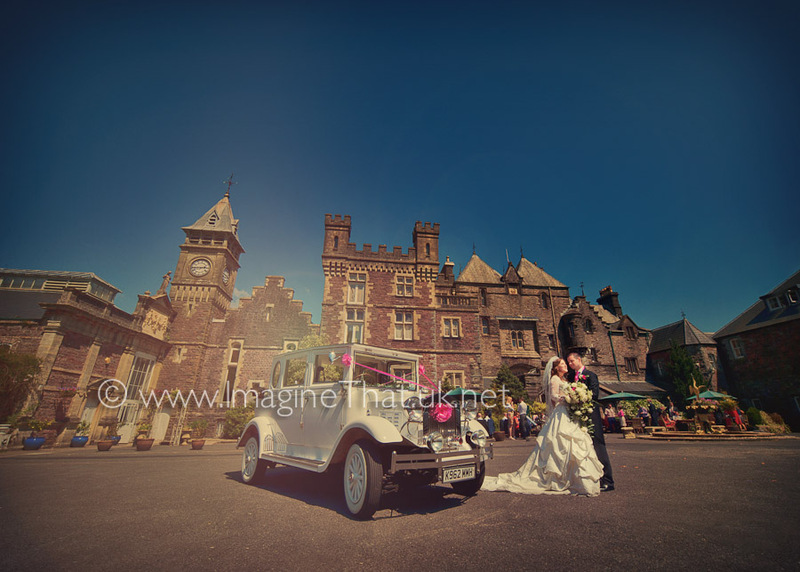 Craig-Y-Nos Castle overlooks a beautiful lake, river and forest with ancient vine like trees which create very different backdrops for wedding photographs. At around 7pm with the sun kissing the valley we took Annelise & Brett to the lake and forest which was perfect timing because they were ready for a break before the evening dancing started and that meant we were able to create dozens of powerful wedding photographs. 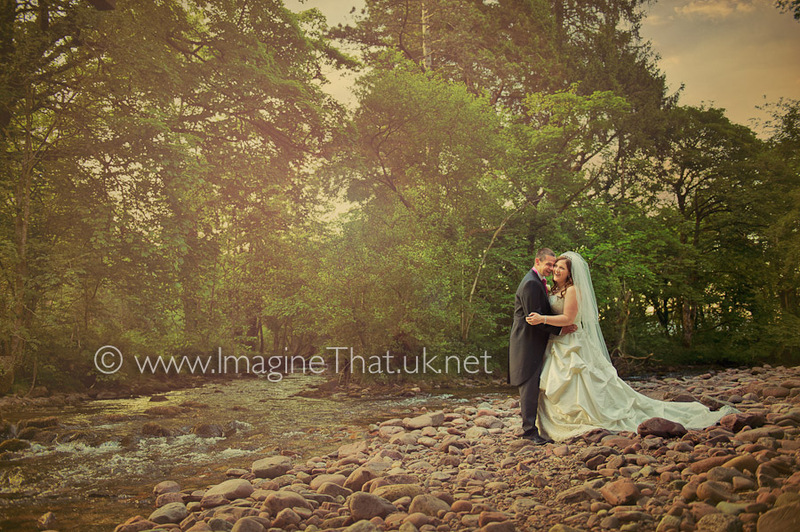 These are just a few highlights of the 900 images which have created for the couple. Needless to say the rest are going to take us a few more days to process before we have upload them to their own website, so if you want to see more of these awesome wedding photographs you will have to ask Annelise & Brett for the access code. Finally Elise and I would like to thank Annelise and Brett and both their family for allowing us to photograph their wedding day and making us feel so welcome.